There’s a kinetic energy in the air. It thrums with anticipation, as if at any moment, the sky will part, and something will fly screaming up to the heavens. As I grew up with the series, despite being younger when I first played its Nintendo 64 incarnation, I never quite got the sense of a child playing with toys, as illustrated by the giant hand withdrawing our heroes from a chest in anticipation of playing out dramatic battles. For however much it looked like it should be playful, it felt a bit too enforced, as if the mechanics were the most important part of the experience. Nuts and bolts calculate strength and velocity based on percentage numbers, and when all of these elements line up right, someone gets knocked out. Playful, but perhaps a bit too orderly, certainly too much so for someone’s hand in a toy chest. Melee also seemed to favor a more mechanical sense of play. It was much faster than its predecessor, and everything functioned like a machine. Wavedashing came as a consequence of making each air dodge and hop finely controllable, a human invention as a result of machine precision. 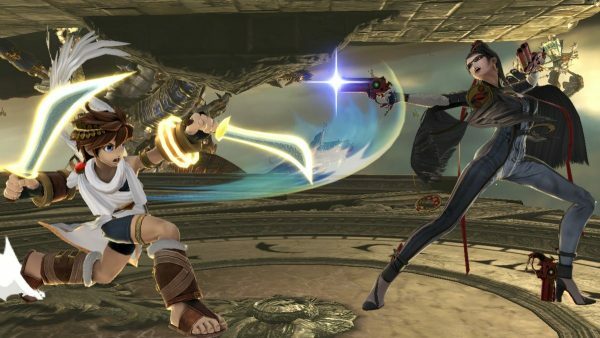 Behind the fast shuffling and the itemless Final Destination duels, there was still something a little bit remote about Smash. Not quite a game played over a toy chest, but a string of commands input by technicians. All of the tools came together to make the sense of play feel lost in optimization. Players who took to Melee were skilled, but whatever playfulness should have been there turned to afterthought in the midst of mastery. Wavedashes and SHFFLs abound. To me, Brawl was the first that really felt like it captured the sense of playfulness that was always the intent. It was a game that introduced random tripping, a clumsy mechanic that felt like the child at play knocking over his minis while reaching for the next item to drop on the stage, or trying to get his Bowser figurine to make growling noises at Peach. There was still sense that some adult was nearby, enforcing the angle and velocity of blows via protractor and pocket calculator. However, without the strict ability to control aerial movement that guaranteed player-technicians the ability to manipulate so much of their placement and speed at a whim, it felt less like a rigid set of rules and more like a way to get back to the action figures and toy chests. The rest of the rest of the experience really did feel like at least someone in the toy arena was there to have fun, rather than running a simulation with the notion of child’s play as the set dressing. Smash 4 was perhaps my favorite. 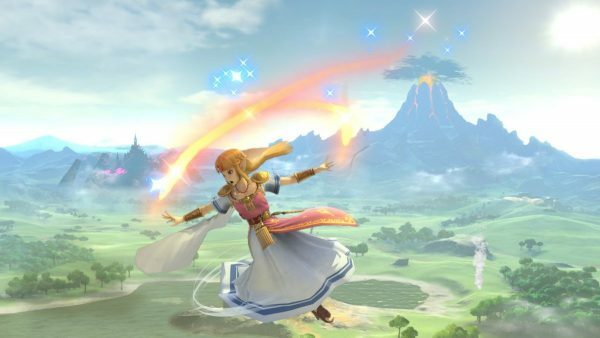 Adjusting to remove the randomness meant that the game opened the doors back to a more technically focused experience, though certainly nothing compared to the finely tuned Fox plays in the Melee days. It felt like an attempt to bridge the more technical play with a more casual and jovial atmosphere. 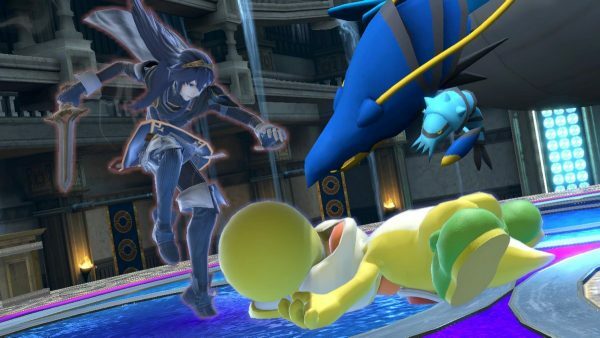 The Mii Fighters and expansive character list really did feel like the child had grown up a little, had invited his friends over, and they were all in it for a good time over pizza rolls and, undoubtedly, too many empty cans of energy drinks. The play was back, and through the scaffolding of rules and item physics, most opponents I faced weren’t there to optimize the mechanics into the ground. The technicians were elsewhere, still pursuing the limits of the GameCube. More than almost any other Smash game before it, this one really felt like it just worked as intended, a group of friends, some house rules, and a lot of flying toys. Now there is Super Smash Bros. Ultimate, a game that includes every character, every stage, every major component of the previous game rolled into a big party. The technical aspects have been simplified to reduce the mental clutter of measuring sticks and physics calculation, the past stages are remastered without losing their low-poly charm, and it’s all back to the energetic pace that hasn’t really been seen since Melee. Errors pass quickly, so playing around feels less punishing, and getting back to the high energy jumping, swinging, and throwing is immediate. Play doesn’t linger on the details as much, and everything feels punchier, more excited, and a little bit more breathless right up until the very end. Protracted bitter duels against skilled opponents feel less like a slog. The action has the bright splash of its earlier incarnations, all of the miniatures have been repainted with skilled technique, and someone brought confetti! For the first time, probably since my own childish glee at getting to bounce around largely unsuccessfully with the first Smash Bros. game for the N64, I think I get this game the way I’m supposed to. It feels like it was made to let me and my friends play around more than the previous titles. It feels like it believes that I should be having fun as my primary activity rather than getting mired in proficient execution and technical application of specific mechanics in order to optimize play. Simply by doing away with things like wave-dashes, shine sparks, and frame cancellations that encouraged the same kind of rocket surgery that lives on in the fan-made Project M.. It’s okay to be a guy in tight swim shorts, with an energy sword, flailing a bit gracelessly at my opponents while bombs, bullets, and bananas sail overhead. Even if the minis slip through the gaps where the tables are pushed together, or someone spills some Mountain Dew Code Red all over the Metroid map, there’s a lot here to love. The energy is just too high, the play just too reckless, to feel like anything less than a bunch of kids having a good time. Just like the wrapping was all along. This is how it should be, I think. For the first time in a long time, I’m really feeling it.